Everyone who loves the outdoors will have made a list at some point. Favourite hills in the Lake District (for me, Mardale Ill Bell, Black Combe and High Stile); best routes up Snowdon (Watkin Path, Crib Goch, Y Lliwedd); top Scottish peaks from the West Highland Railway (Ben Lomond, Ben Alder, Ben Arthur). And now you can create and share your own car-free walking lists with others. If you have visited our website since the start of the year, you will have noticed a host of new features that make it easier for you to add, share and find walks. 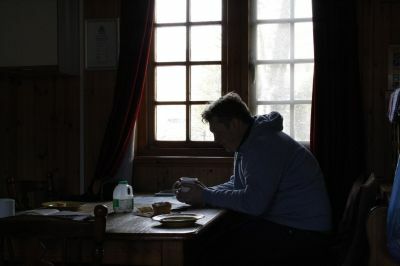 The new walk lists option enables you to put together a list of routes – ideas for a long weekend, a long-distance path, the best routes from a scenic bus route – to share with others. 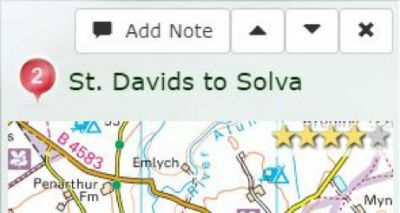 Using this feature, you can also plan your next walking holiday by creating a walk list, add a note to each walk and share it with your fellow walkers. Other options include adding photos to personalise each list, and sharing them easily on Facebook, Twitter, Pinterest or other social media networks. Part of the idea behind this feature is to encourage people to consider slow travel and take more time to explore an area, thus getting to know the region better and contributing more to the local community. And finding walk lists couldn’t be easier. Just search for walks as usual, then click on the tab for ‘walk lists’. Can’t find one that meets your needs? Then pull your boots on, get walking and create it yourself! Simply log in or, when logged in, click under ‘My account’ and select the ‘My Walk Lists’ option. From there, it couldn’t be easier – choose ‘Create a walk list’ and follow the steps: add a name, a description of the list, and a cover photo (if you like). Then click the save button at the bottom and add routes! 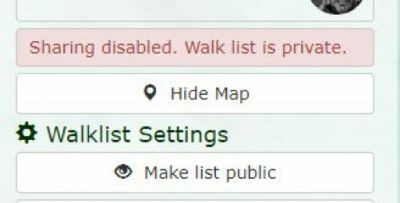 If the walks are not in the right order on your list, click on ‘Edit Walklist’ to reorder them. Don’t forget to ’Make list public’ if you want others to be able to view it, and you can share it via social media for your followers to browse. Public walk lists will also show up when visitors to the site search for walks, meaning more and more people will be inspired by your selection. 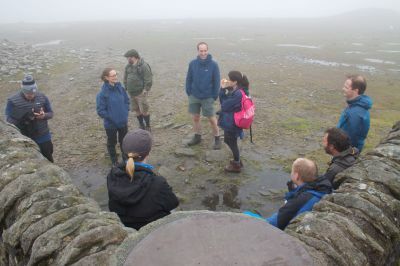 Fellow walkers will be able to rate your walk list and the higher it’s rated, the more likely it is to be shown in the search results. We’ve worked hard on keeping everything as simple as possible, but if you experience problems or have suggestions how to improve, do let us know. Car Free Walks is a labour of love and we like to share it – and hope that you do, too.